Below you fill find all funeral homes and cemeteries in or near Selinsgrove. Suburbs of Selinsgrove: Blue Hill, Kantz, Kratzerville, Monroe Township, Monroe Twp, Penn Avon, Verdilla. 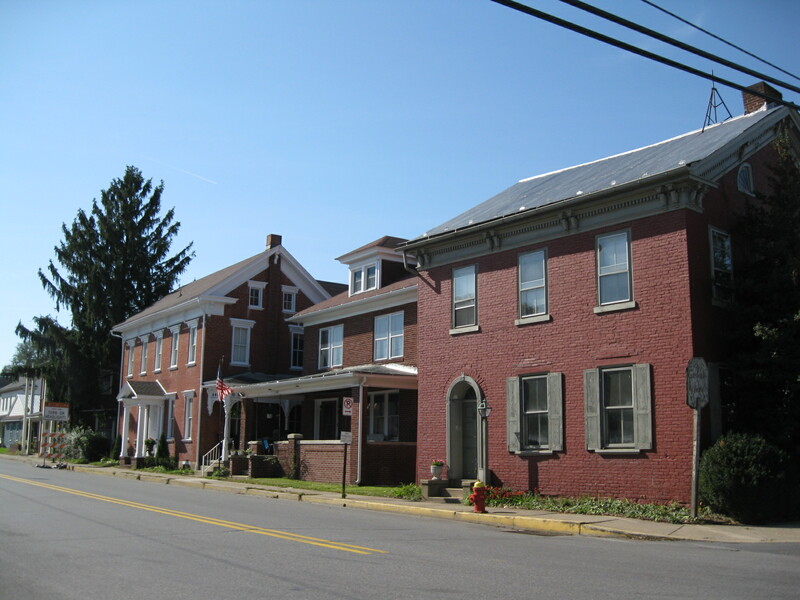 Selinsgrove is also known as: Snyder County / Selinsgrove borough. Their current mayor is Mayor Sean E. Christine. Zip codes in the city: 17870. Some of the notable people born here have been: Ryan Keiser (american football player). Selinsgrove is a borough in Snyder County, Pennsylvania, United States. The population was 5,383 at the 2000 census. It is the largest borough in Snyder County. Selinsgrove is the principal city in the Selinsgrove, PA Micropolitan Statistical Area, and is also part of the larger Bloomsburg-Berwick-Sunbury, PA Combined Statistical Area.Selinsgrove is located in the middle of the Susquehanna River Valley in Central Pennsylvania along US Route 11 & US Route 15, 50 miles (80 km) north of Harrisburg and about five miles (8 km) southwest of Sunbury. It is the home of Susquehanna University. It was noted by Bedford Bulletin on June 14th, 2018 that Shirley Jean Smith (North) died in Thaxton, Virginia. Ms. Smith was 91 years old and was born in Selinsgrove, PA. Send flowers to share your condolences and honor Shirley Jean's life. It was revealed on April 10th, 2018 that Betty Jane Kessler (Hoke) passed away in Troy, Ohio. Ms. Kessler was 91 years old and was born in Selinsgrove, PA. Send flowers to share your condolences and honor Betty Jane's life. It was disclosed on November 23rd, 2017 that Bruce Jr Wagenseller passed on in Rancho Bernardo, California. Wagenseller was 90 years old and was born in Selinsgrove, PA. Send flowers to share your condolences and honor Bruce Jr's life. It was revealed by The Villages Daily Sun on June 14th, 2017 that Ronald Irvin Woodling died in The Villages, Florida. Woodling was 78 years old and was born in Selinsgrove, PA. Send flowers to share your condolences and honor Ronald Irvin's life. It was reported on May 24th, 2016 that Martin Wenger perished in Selinsgrove, Pennsylvania. Wenger was 84 years old and was born in Mandan, ND. Send flowers to express your sympathy and honor Martin's life. It was noted on May 12th, 2016 that Richard L Sr Fisher passed away in Niagara Falls, New York. Fisher was 78 years old and was born in Selinsgrove, PA. Send flowers to share your condolences and honor Richard L Sr's life. It was disclosed on September 17th, 2014 that Janette Lucille Hancock (England) passed on in Selinsgrove, Pennsylvania. Ms. Hancock was 82 years old and was born in Hamilton Co, NE. Send flowers to express your sympathy and honor Janette Lucille's life. It was reported by Juniata Sentinel on April 16th, 2014 that Ardella S Crissman (Snyder) died in Selinsgrove, Pennsylvania. Ms. Crissman was 90 years old. Send flowers to express your sorrow and honor Ardella S's life. It was disclosed by Williamsport Sun-Gazette on March 8th, 2014 that Emily R Hopfer (Buck) perished in Selinsgrove, Pennsylvania. Ms. Hopfer was 81 years old. Send flowers to express your sorrow and honor Emily R's life. It was disclosed by Williamsport Sun-Gazette on December 9th, 2013 that Thelma O Breidinger (Casler) passed away in Selinsgrove, Pennsylvania. Ms. Breidinger was 87 years old and was born in Olean, NY. Send flowers to share your condolences and honor Thelma O's life. Occurring on October 16, 1755, the Penns Creek Massacre was the first Indian hostility event in the region after General Braddock's defeat in Seven Year War. The Leroy Massacre site is about 2 km southeast of Mifflinburg, Pennsylvania. A marker on the bank of Penns Creek north of Selinsgrove, Pennsylvania, commemorates the massacre of settlers by Native Americans, with fourteen killed and eleven taken captive. Fort Augusta at Shamokin now Sunbury, Pennsylvania, the largest of Pennsylvania's frontier forts, was built in 1756 as a result of this conflict. .
Selinsgrove, Pa. 17870. The George P. Garman Funeral Homes Inc., 9366 Route 35, Mount Pleasant Mills, has been entrusted with the funeral arrangements. Listing all funeral homes in Selinsgrove, Pennsylvania so you can easily send flowers to any location (same day delivery) or find any funeral service. Selinsgrove Funeral planning made easy! Learn how to pre-plan your funeral in Selinsgrove, Pennsylvania, including step-by-step directions. We work with local florists and flower shops to offer same day delivery. You will find budget sympathy flowers in Selinsgrove here. Our funeral flowers are cheap in price but not in value.